ICAST Award winning Frog Review - - - This thread has 1 message. Showing 1 through 1. 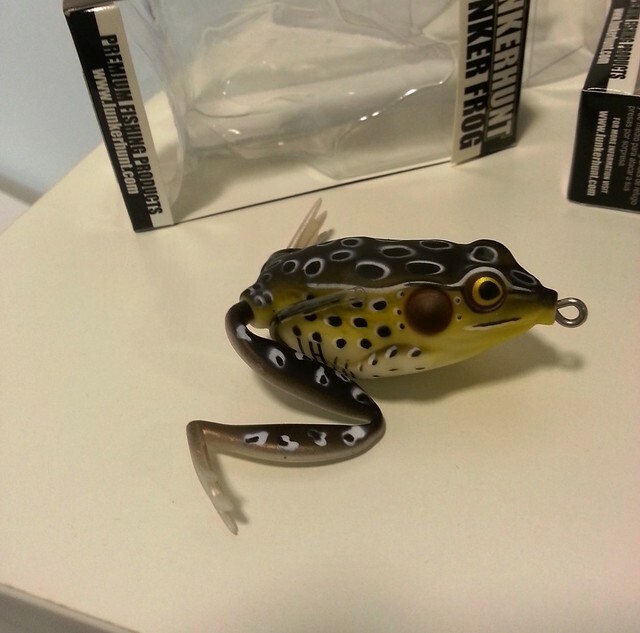 I got one of the frogs that won best soft lure at ICAST this year. I wanted to to a quick review for you guys, just in case anyone is debating purchasing one for themselves. I bought the croaker color pattern. Overall I enjoyed fishing with this frog. it creates a good amount of disturbance on the surface just by simply reeling in. The legs really help here. Creating the equivalent amount of disturbance with other top water frogs that that have those streamer like legs would require a lot of jerking on the retrieve. I have few gripes about the frog. Overall it fished well and caught me some nice size bass.